As soon as your vehicle is parked, the vehicle goes into ‘Secure Park’ mode. Get alerts/notifications when someone tries to Start/ Move /Tow your vehicle. In case of emergency, reach out to your emergency contacts or India Emergency Number (112)* on single click. Need any information, use our “Information Calling” services on Waypals mobile app. 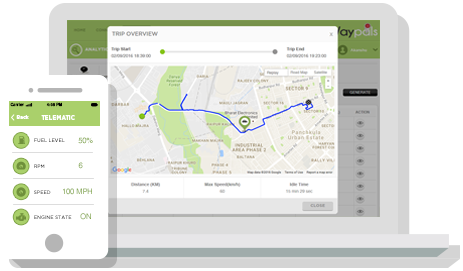 Waypals provides you a rich interface to see location real time, monitor the movement, and set alerts based on your vehicle’s location. Keep all your vehicle related documents on Waypals platform and access them anywhere, anytime through Waypals Mobile App or Web Portal. Location-Intelligent Social Networking platform for you and your friends. It allows you to interact with your friends through messages (Feed) and sharing Waypoints/Trails. Get alert before your vehicle battery dies and avoid last minute hassles. In case of vehicle theft or for added security of your vehicle, you can immobilize your vehicle from your mobile phone. In case of serious accident, your emergency contacts get alerts automatically on their phone regarding your accident. Waypals: What makes it work ? WPL OBD 01 is a Connected Car device, which plugs into OBD II port of a car. Almost every car today comes with an OBD port. 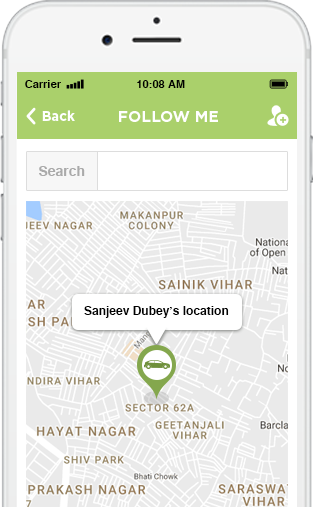 OBD device connects your car to Waypals platform and enables host of Connected-Car services provided by Waypals. It’s a simple Plug-N-Play device and doesn’t need any expert fitment. Waypals also provides Connected Vehicle Systems for vehicles that don’t come with OBD port (Cars, Bikes or Commercial Vehicles). These devices need to be hard wired to the vehicle and need fitment by an expert. Apart from all features provided by Waypals, WPL BB01 also provides additional feature like Remote Vehicle Immobilization. Waypals is one of the most advanced and comprehensive Automotive/Insurance IOT Software/Services Platform. Waypals processes real-time vehicle data and provides meaningful information to users through Waypals Mobile Applications and Web Platform. All these services are available to the customer by simply plugging a device in a vehicle, and logging into a Web Portal/Mobile App to start using it. 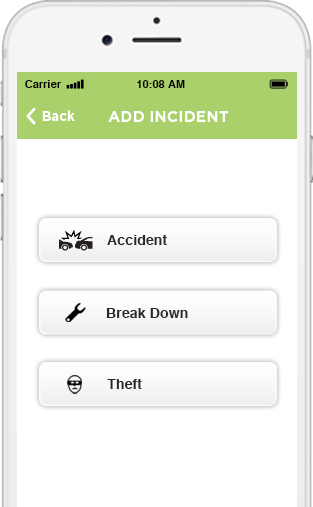 In case of any Accident, Theft or Breakdown, you can connect with Waypals Team through Mobile App or Web App. You can use Incident Reporting Mechanism to communicate with Waypals Team. You can fill all required information in Incident Reporting Tab and Waypals team will be at your service. Waypals allows you with mechanism to share your location with your friends and also invite your friends to follow your real-time location for a specified time period. You can also share your actual travel routes with your friends. With vehicles generating huge amount of data, Waypals tries to deliver great customer experiences and value by analysing that data. Waypals has hosted Cloud-based platform to receive, process and store data with high level of security and privacy. © 2018. All rights resevered by Waypals.